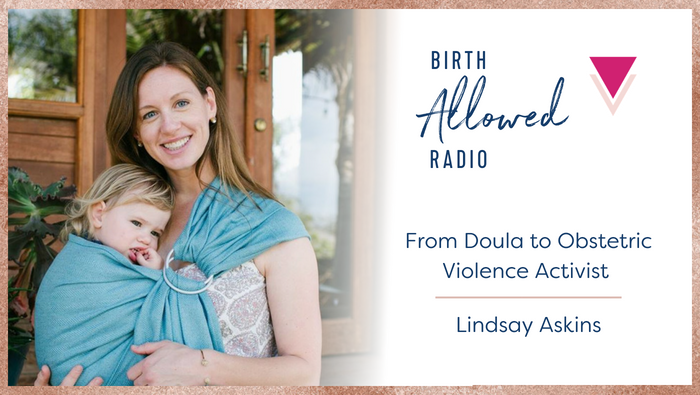 In this episode of Birth Allowed Radio, we talk about obstetric violence, aggressive court orders, and the special trauma of early separation. The journey from doula to obstetric violence activist. Recently, a doula client had been given a court order to comply with a caesarean, despite having no medical indications that it was necessary. So many ethical and legal issues are raised when you witness birth. Sometimes mothers are not told anything about the procedures that are performed on them; informed consent is often never even an option. What do obstetric violence and birth trauma look like? The common theme, when talking to women who have been subjected to obstetric violence, is the idea that they have no voice; they feel like no one is listening to them or including them in the discussion about their own birth. Another prominent theme in birth trauma has to do with separation of moms and babies at birth. Mothers want to be next to their babies – it is instinctual. Suppression of that biological urge can create very real bonding trauma. When breeding horses, it is well known that you would never touch a foal for at least 15 minutes post birth, unless absolutely necessary, to allow for proper bonding. Yet we don’t allow that same opportunity to human mothers. Lastly, there is a strong theme of objectification in these stories. Women feel like they are being acted upon, as if they are an inanimate object. They feel manhandled and as if things are happening to them without their knowledge or consent.